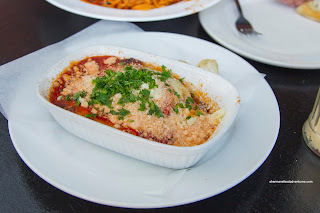 Prior to attending the recent Journey concert at Rogers Arena, we need to grab some eats along the way. 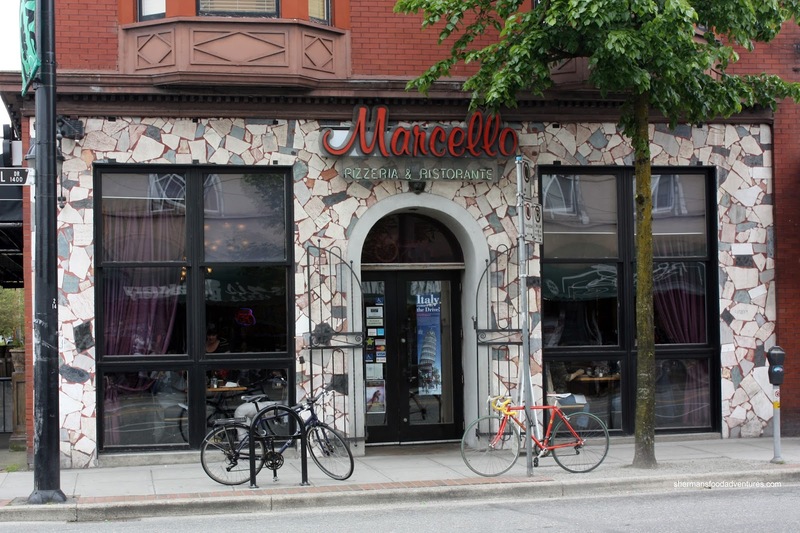 Costanza suggested we hit up La Merzcaleria on the Drive right at opening (5:00pm). Well, that was an epic fail as they do not serve food until 6:00pm. We were expected to sip on cocktails until then. With limited time available, we had to go to plan B. Wait, there was not plan B! 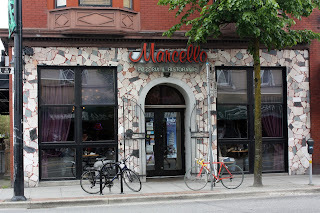 Hence, we walked down the Drive and ended up at an oldie being Marcello's. Not our first choice, but hey, it was a choice nonetheless! We ended up sharing some pasta including the Spaghetti all Vongole featuring plenty of fresh clams and canned baby ones as well. I found the pasta to be expertly al dente and laced with a good amount of garlic and brininess. 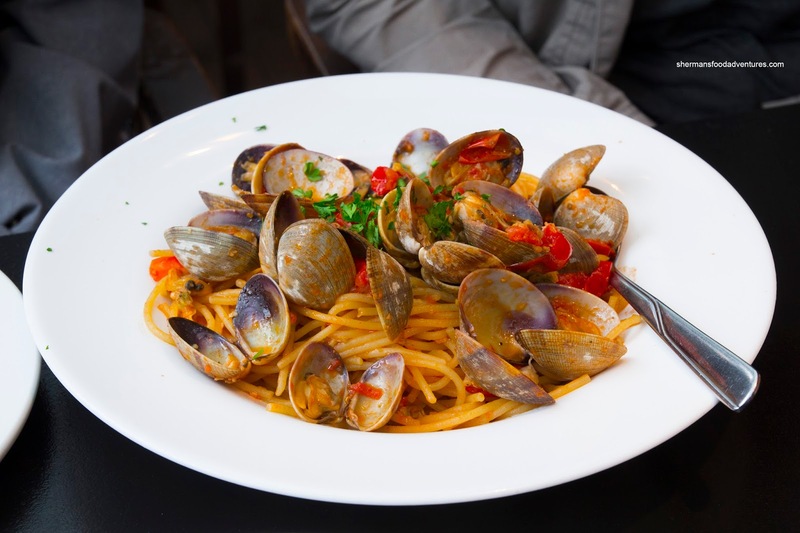 However, even with the tomatoes tossed into the pasta, there was very little acidity and tang. This dish was crying out for that and would've been really good with it. Next, we had the Chef's Tagliatelle consisting of olives, capers and mushrooms. This was a saucy and rich pasta that wasn't short on the cream. As such, the pasta became soft due to the moisture. On the other hand, the flavours were impactful with the saltiness and tang from the capers and olives. Also, the cooked down mushrooms added an umami quality to the sauce. 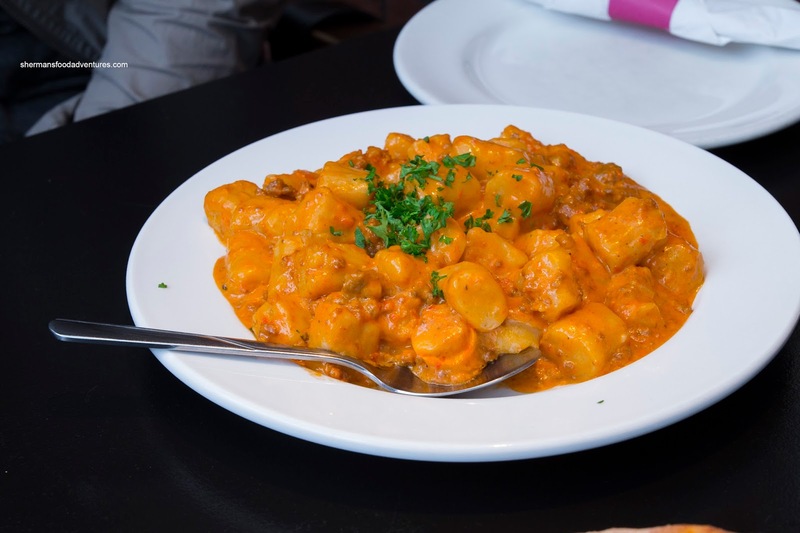 Our last pasta was the Gnocchi Pasticciati which featured a rich creamy meat sauce. This ate really heavy, but we didn't mind it as fit the theme of the dish. The big gnocchi were soft and almost fluffy. 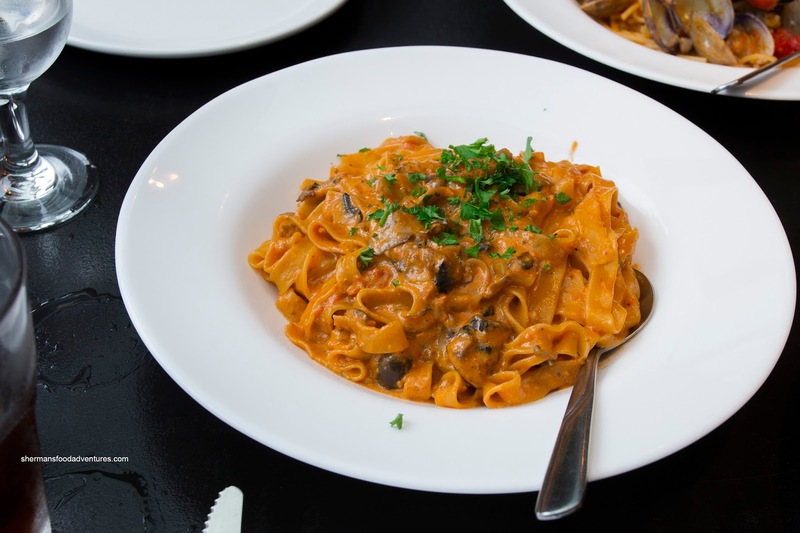 With bits of tender meat strewn throughout the mild-tasting sauce, this pasta was hearty. It could've done with a little less sauce in our opinion. 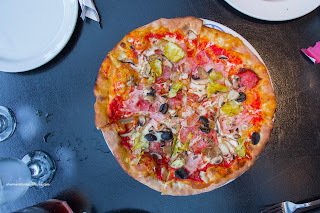 Lastly, we shared the Capriciossa Pizza with olives, pepperoni, capicolla and artichokes. With a fairly thin crust that was crispy throughout, it held up to all of the ingredients. There was a zesty and mildly spicy quality to the pizza which meant it wasn't longing for flavour. We found the tomato sauce to be light on the tartness, but then again, the toppings added the necessary tang. On another visit with the kiddies (sans Viv), we had the basic Spaghetti Bolognese and Lasagna. 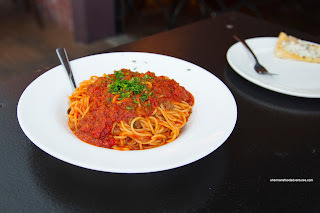 With a significant amount of meat sauce, there pasta was hearty and flavourful. Much like the pizza, the tomato-based sauce was very mild while exhibiting a rich meatiness and background sweetness. Despite the amount of sauce, the spaghetti remained al dente throughout. Layered with spinach pasta, bechamel and plenty of melted mozzarella on top, the lasagna was rather wet and cheesy. There wasn't a whole lot of varying flavours other than the salty Parm on top. The whole thing was just too sloppy in my opinion and the hard and burnt edges on the bottom of the small casserole dish were inedible. Despite this, the rest of the items I had over the 2 visits were above average and enjoyable. My only other wish is that their kitchen would be a bit quicker with the food.